10 reasons why you will love Birmingham’s Digbeth Dining Club as a vegan! Every Thursday a special event happens in Digbeth Dining Club in Birmingham, UK. The Digbeth Dining Club is an alternative foodie market that has been in operation since 2012. More recently, in 2019, the co-founder Jack Brabant wanted to make a bigger and more permanent step towards catering to all beliefs and diets. Thus, the No Bones Veggie weekly street food event at Digbeth Dining Club was born. There is completely meat-free dining in the back-yard from 4pm – 10pm every Thursday. Here are 10 reasons why you should visit the Thursday meat-free Digbeth Dining Club event! Disclaimer: This is NOT a sponsored post. I received no payment or incentive to visit the Digbeth Dining Club and all opinions are my own. 10 reasons why you will love Birmingham’s Digbeth dining club as a vegan. You should visit the Digbeth Dining Club in order to support the award-winning alternative food scene in Birmingham! The Digbeth Dining Club is a multi-award-winning event which has been making waves in Birmingham’s alternative food scene since it started. Amongst many others, the quirky institution has won the revered title of the Best Street Food Event at the British Street Food Awards! Whilst you must support vegan options at main-stream chains it is fantastic to also support local independent places such as the Digbeth Dining Club. Another reason why you will love the meat-free Thursday event at the Digbeth Dining Club is that you will have the chance to try vegan street food from vendors across the UK. Rather than travel to many different cities you have the option of trying vegan vendors from cities such as Manchester, Leeds, Cambridge … the list goes on! Enjoy a vegan food tour around the UK from the Digbeth Dining Club’s backyard! In case you were wondering, we are open as usual in Digbeth today from 4, and also in Longbridge all day til 6. Whilst there has been an explosion in vegan goods at most UK supermarkets, the Digbeth Dining Club offers vegans the chance to try foods not available in supermarkets or at restaurants. Yet another excuse to indulge and feed that inevitable vegan food baby as who knows when you will have the chance to eat that vegan burger or that vegan kebab again? Even the stingiest of vegans should not be put off visting the Digbeth Dining Club on a Thursday. The Digbeth Dining Club entrance fee is just £1. This makes for a relatively cheap entrance fee to a fantastic street food market! 5. Cheaper drinks on a Thursday night at the Digbeth Dining Club – just £2.95 for a pint! Another thing you will love about Thursdays at the Digbeth Dining Club is that the drink prices are cheaper than weekend prices! Each venue serves a different drink which will be just £2.95 for a pint. Diners can choose from a pale ale, dark ale or cider. Start the weekend early and enjoy a few pints for just £2.95 at the Digbeth Dining Club on Thursdays. There are over 50 vendors who appear on rotation at the Digbeth Dining club throughout the year. There will be at least 5 veggie places to try in the back yard and there are omnivorous stalls at the front with veggie options. Here just a few of the vendors that serve incredible vegan food at the Digbeth Dining Club to whet your appetite! Click here to see other incredible vegan burgers in Oxford! Doener Summer serve up the traditional German doener but with a vegan twist. Their secret spiced seitan forms the meat strips. Pared with fresh pickles, delicious herbs in a fluffy flatbread with garlic mayo and hot sauce. Yummy! If you enjoy instagrammable vegan food, you will love the UK’s most instagrammable cafe. Click here to see where you can find photographic vegan food in Cardiff! One of my favourite vegan street food vendors in the UK is Wholesome Junkies! They serve incredible 100% vegan junk food with a ‘wholesome twist’. Expect tasty cauliflower wings, buffalo mac n cheese and incredible plant-based burgers! They are from Manchester and serve a hearty northern portion of magnificent vegan food. Did you know that the French capital has a suprising amount of vegan junk food options? Click here to see where you can find vegan food in Paris! Buddha Belly is not a veggie vendor but the vegan Thai coconut curry deserves a mention. One of the creamiest, tastiest Thai curries I have ever had outside of Thailand was brought from Buddha Belly. Buddha Belly was voted for the Peoples’ Choice award at the 2016 British Street food Awards and it is easy to see why! If you enjoy vegan Thai food click here to see where you can find decadent vegan waffles in Thailand! Whilst the backyard is purely veggie, the front yard has plenty of omnivorous options for those hard-core carnists. Therefore, there is no excuse not to go with a big group of friends as the Digbeth Dining Club caters to all dietary requirements and beliefs! Another venue where omnivores will be happy to is the RSC, where meat eaters and vegans alike can enjoy an incredible afternoon tea! One of the best things about Digbeth Dining Club is that it manages to retain an intimate feel without feeling claustrophobic. As variety is the spice of life there are five different themed areas to sit in and munch on veggie food. There are three bars and two outdoor areas. Café Colette is one of the three bars on Lower Trinity Street at the Digbeth Dining Club. Café Colette has a fantastic 1920’s art deco feel. There are plenty of delicious cocktails to choose from as you are transported back 100 years. 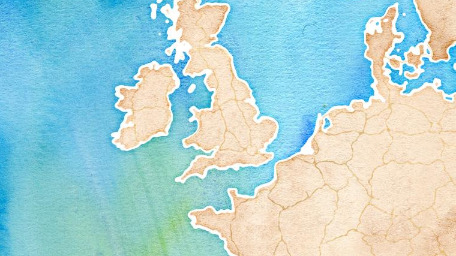 Mama Roux’s takes visitors across the pond to the American Deep South America. Mama Roux is a New Orleans themed-bar and club. You can also hire out the space at Mama Roux for corporate and private events. The trendiest bar at the Digbeth Dining club is Spotlight. The art, furnishings and interior in Spotlight would not be out of place in London’s trendy Shoreditch. Personally Spotlight is a little dark to eat in (or to take photos of the epic vegan food!) but it’s a great place to enjoy a few drinks. There are big plush red sofas to sink into giving this venue a very comfortable feel. From your soft chair make sure you look up and admire the interior of Mama Roux. The venue was built underneath one of Digbeth’s railway arches which dates back to the Victorian era. Spotlight is a fantastic example of industrial chic. If you still need a reason to visit the Digbeth Dining Club how is this – you can bring your dog! Digbeth Dining Club has always been dog friendly. Dogs are allowed in all of the venues at the Digbeth Dining Club. So if you have a furry friend you don’t want to leave behind on a Thursday night, bring your dog along to the No Bones event at the Digbeth Dining club! The final reason why you will love the Thursday no bones event at The Digbeth Dining Club is that everything is delicious! The Digbeth Dining Club maintains high standards to ensure everything is delectable. Jack, the co-founder says “we don’t just let anyone in. We are strict about who we allow to be part of the market – to ensure we always guarantee a quality experience to visitors.” This applies to the veggie vendors as well. No boring salads or soggy chips can be found here. Only high quality veggie goodness is available to sample at the fantastic Digbeth Dining Club No Bones event, every Thursday. 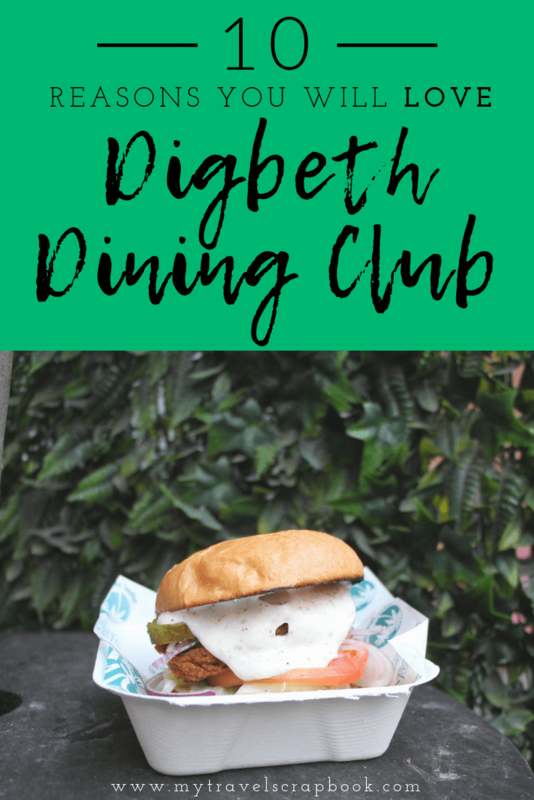 Would you like to visit the Digbeth Dining Club on a Thursday? Have we convinced you to visit the No Bones event at the Digbeth Dining Club in Birmingham one Thursday evening? Please let us know in the comments if you would like to go!